100% poly interlock. 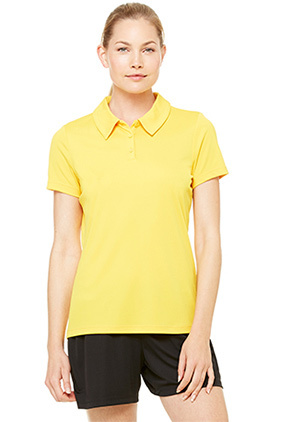 A women's performance polo with a true feminine fit, featuring a 3 button placket allowing for superior printing capabilities. Tear away label. Dry wicking. Antimicrobial. Minimal placket design. Shoulder taping.